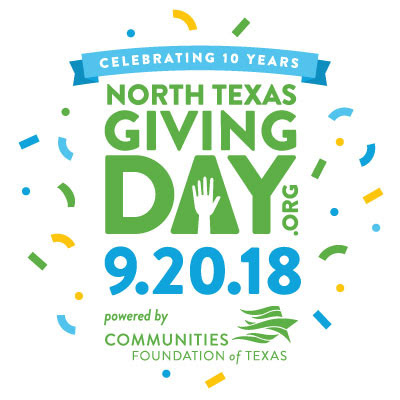 Today is #NTXGivingDay This year please donate to help us raise money during North Texas Giving Day. The largest state also has the largest heart. Hundreds of organizations located in Texas participate in this day to promote charitable giving. This year we celebrate on September 20, 2018. Set a reminder on your calendar to go to this page to donate on 9/20.